As spring life awakens from its winter dormancy, all the nutrients held deep in soil and perennial roots begin to rise, preparing to feed emerging buds and leaves. 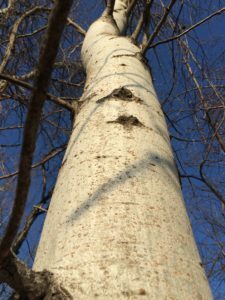 Vitamins, minerals and agents of healing & defense make their way through the sap, moving up trunks, branches and stems, and we find ourselves in the optimal season for harvesting tree bark. 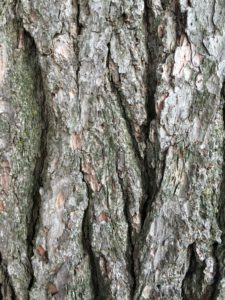 Bark can offer us bold healing and nourishment. As the tree’s tough outer skin, bark provides weathered strength and stoic protection. To survive harsh climate extremes, pests and pathogens, trees have developed sophisticated metabolites, some of which can be found in their bark, offering resilience to those who ingest them. Also, bark carries within it the tree’s wisdom, which is rooted deep in the earth. I will describe here the way that I’ve harvested and processed the bark of these trees, as well as some of the healing benefits these particular trees have to offer. In this season, many people prune trees, as we have learned that when awakening from dormancy, they are well-equipped to successfully repair and regenerate from minor damage. Selective pruning can encourage healthy tree growth and abundant fruiting. 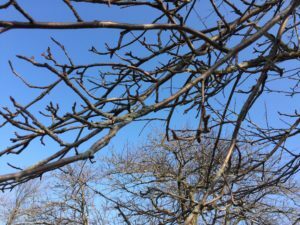 Pruned branches can provide an accessible source of useable bark, which doesn’t require harvesting from (or damaging) the magnificent bark of the main trunk. I am very selective and sparing when I prune trees. 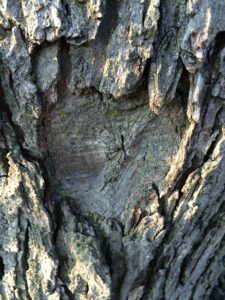 I check in with the tree through a visual survey, as well as spending some quiet meditative time with it before deciding to prune, and choosing where to do so. Once decided, with an offering of gratitude to the tree, and wishing it well, I very carefully begin to prune. 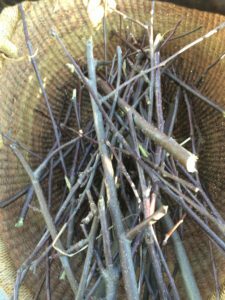 I use clean, sharp pruning shears, and prune off suckers and low-growing branches. Once they’re cut, I carry them back to a comfortable spot where I can sit and shave the bark off the branches. Using a small, sharp knife, I shave off the bark in strips, letting it land in a bowl or basket. 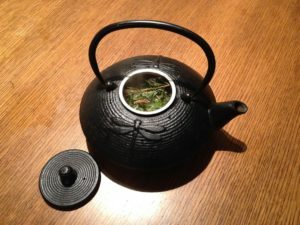 It can then either be used fresh or dried, made into a tea or a tincture. To dry it, I lay it on a cotton sheet or in a basket in a warm place, out of direct light until it snaps when broken. Then I know it is dry and I can store it in a jar. 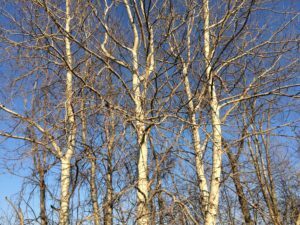 Trembling aspen is in the poplar family. Trees in this family have a constituent known as salicin, which is the active ingredient used in aspirin for its pain relieving, anti-inflammatory properties. It can be used to soothe arthritic and rheumatic pain as well as muscle aches, headaches and many types of inflammation. Its bitter flavour makes it a useful digestive tonic, helping the body to absorb nutrients and supporting gentle detoxification. It can be used to prevent and aid bladder and/or kidney infections. It is also a rejuvenating tonic that can be safely taken to revitalize an aging or convalescing body. Apple bark has pleasant cooling and astringent properties. It can help to cleanse the blood vessels of plaque and fatty deposits, supporting healthy circulation. It’s helpful in moving lymph fluid and reducing swollen lymph glands, and has benefits as a digestive tonic as well. It is also a notable remedy for the relief of heartburn, or acid reflux. By cooling the burning sensation, and toning the esophageal sphincter to prevent leakage of irritating stomach acid into the esophagus, apple bark can treat both the symptom and the cause of this condition. 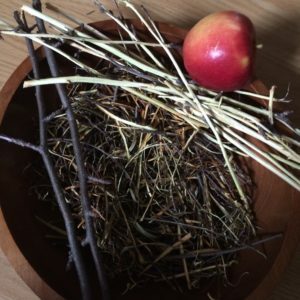 The photo above shows a bowl of shaven apple bark. On the left are the fresh cut branches before they’ve been shaved. On the right are the white cores of the branches, post shaving. 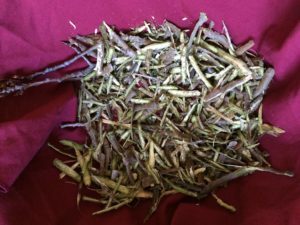 These beautiful auburn shavings can be made into a medicinal tea, fresh or dried, by simmering about 1 teaspoon per cup of water on the stove for at least 10 minutes. 1-2 cups of the tea can be drunk daily, or as needed. Trembling aspen, and all other tree bark can be simmered in the same way. Simmering helps to extract more of the nutrients and medicinal components bound up in the bark, compared with steeping as we do with leaf and flower teas. The bitter flavour of poplar might make it less palatable for some, but it can be combined with tasty nutritious herbs like cinnamon, spruce, rosehips, orange peel and/or peppermint to make a delicious tea. For optimal digestive health however, a strong bitter brew may well be your best medicine. The tree barks I’ve mentioned here are just two, among many trees which bear various gifts throughout our landscape. 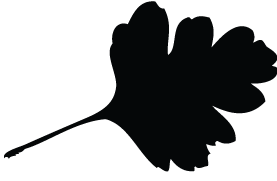 I haven’t touched on willow, alder or pine, for example…and these are just a few examples of trees that I’ll be sure to discuss in a different post. What I most want to convey, however, is that we truly are surrounded by helpful, restorative and nutritive beings in the form of plants, fungi and trees. In our cold climate, we can harvest medicine such as tree bark throughout the year. 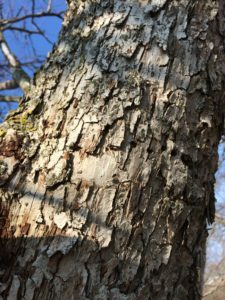 (I am writing about bark now because late winter is arguably the optimal time for its harvest, but if it’s needed in December, or even July, it’s available then too). The more we appreciate what our trees have to offer us, in the way of healing abilities, deep, aged wisdom as well as majestic beauty, the more motivation we will have to ensure their health and safety for generations to come. Thanks for reading Katherine! It’s a pleasure to share, and the plants often inspire me to do so. Glad to hear that others appreciate it too. Excellent article Tamara. Thank you! Thanks for reading it Julie! I love the approach taken to harvesting and am humbled by the respect given to the plant. I will keep this in my mind and heart as I make my way through gardens and forests. Thank you Jes. I think the respect is perhaps the most important factor. The more gratitude we have for the earth’s gifts, the more sacred our world becomes, and the more reason we have to celebrate it. Thanks Tamara, I enjoyed this post. I’m wondering if my malus profusion, an ornamental flowering crab, would have the same properties as wild apple. I believe it would, Mary. Crab apple bark can be used in a similar way to apple bark, and if it’s a Malus species, it likely shares similar medicinal properties.